Lola's Cupcakes is a Bakery that makes a delicious range of Cupcakes, Cakes for Special Occasions, Cheesecakes & Layer Cakes. Every Cupcake & Cake is freshly Baked using the finest of ingredients, and decorated stunningly (like a piece of Art) to make it Fun, indulgent & a yummy flavourful experience. I got in contact with Lola's Cupcakes as it was my Birthday on June 14th & i was looking for Vegan Cakes. 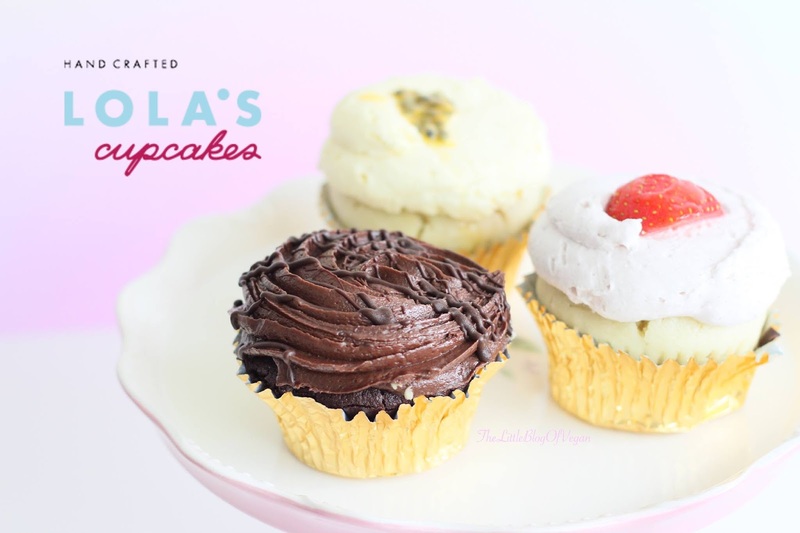 I am extremely pleased that Lola's Cupcakes have 3 absolutely moorish Vegan Cakes available in Wheat-free Chocolate, Strawberry and Coconut & Passionfruit and Coconut. I just have to say Lola's Cupcakes are NOT a Vegan Company but they do cater for Vegans & people with Dietary requirements which is excellent! These are the 3 Vegan Cupcakes! These Cakes are beautifully made with gentle care & attention. All 3 Cupcakes have a thick swirl of Moose like Frosting. It is extremely creamy, smooth, melts in you mouth! I had no idea, but hidden in the centre of these Cakes, is a light & fluffy filling which is a nice added flavourful surprise. All these Cupcakes have a individual flavour. I really enjoyed the Wheat-free Chocolate as its Dark, Rich and Creamy. 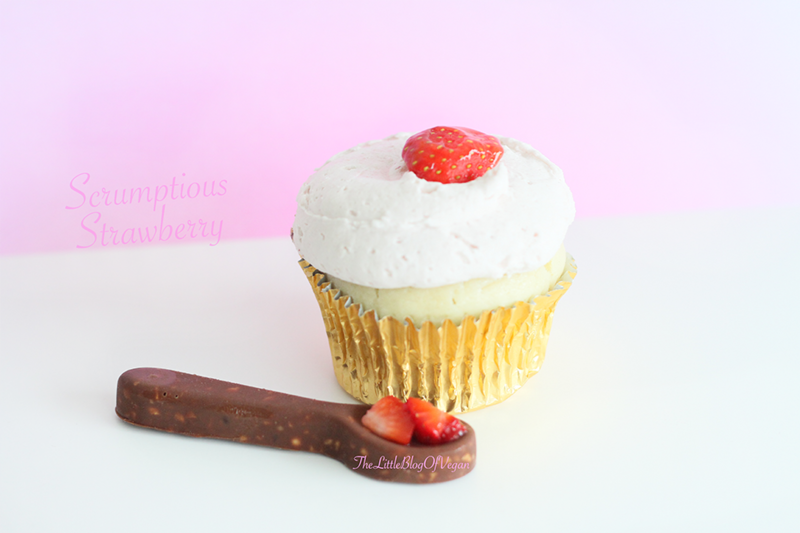 Its a very indulgent Cupcake, perfect for Cake lovers & especially Choc-o-holics. The Passion Fruit was a pleasant surprise. 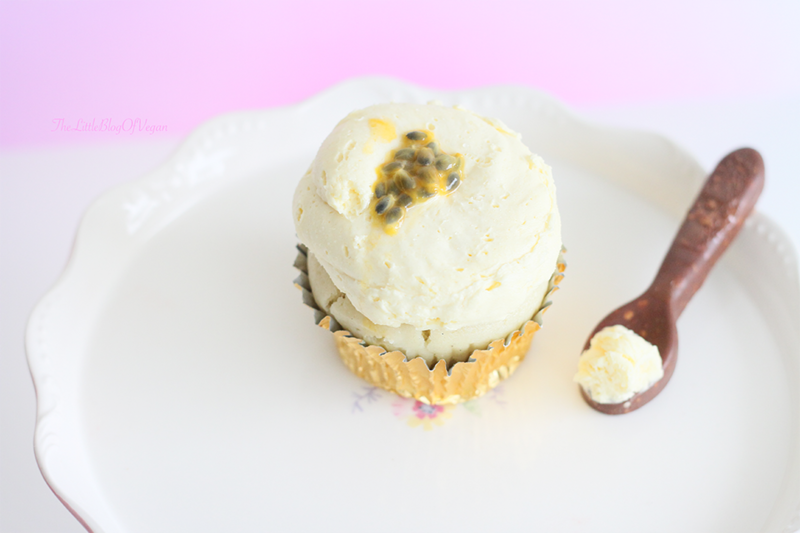 The Frosting is sweet with a Tangy kick from the juicy Passionfruit Seeds. Again this Cake is very moist (as you can see from the photo above) & absolutely delicious! It has a really nice fruity aftertaste, and leaves you wanting more!!! I really enjoyed the experience of going into Selfridges in London, & picking up these delightful treats! Lola's Concession stand in the Food hall, was very easy to find & looked beautiful in pastel colours. It is a very clean environment (as it would be in Selfridges) & is extremely vibrant & lively. The Staff were ever so friendly & helpful which made the experience even better! There was a lot of people of all ages, purchasing some outstanding looking treats! The desserts & Cakes are presented beautifully in a glass case so you can pick & choose which ones you would like. Even better, in front of each product there is a little note which states any Allergens! This is great for you to check yourself! The staff obviously value & care for their customers as they are very accommodating & friendly. They show enthusiasm & interest in their job, which makes the purchasing experience quite special. I've never had such a nice warm welcome. Liz, the Marketing Manager for Lola's Cupcakes has been extremely helpful & responded really quickly & well to my contact to the company. I really appreciate this customer care! I decided to make some extra-speical additions to my Photos. For my birthday, i was gifted the Beautiful Pink Cake stand from Waitrose & was very excited to use it in this posts Photography. This stand was £15.00. Its still available in Store, so pop in & pick one up..its soooo pretty! When in Selfridges, i picked up some Pastel Paper Placemats by Meri Meri from the Dining area. These are going to make a lot of appearances in my Blog so keep a look out for those. They were £11.95, pricy but you get 24 Placemats & they are gorgeous. They look fantastic in my Photographs which some chopped Strawberries on top. I am really pleased with how cute & well these Photos have turned out. They would be great also in Desserts and melted into Hot Drinks as a fun little extra. The Cupcakes gave me a pretty easy job because they are very Photo-gentic & i really enjoyed doing this Blog post/review, taking Photos & especially eating the Cakes!!!!!! 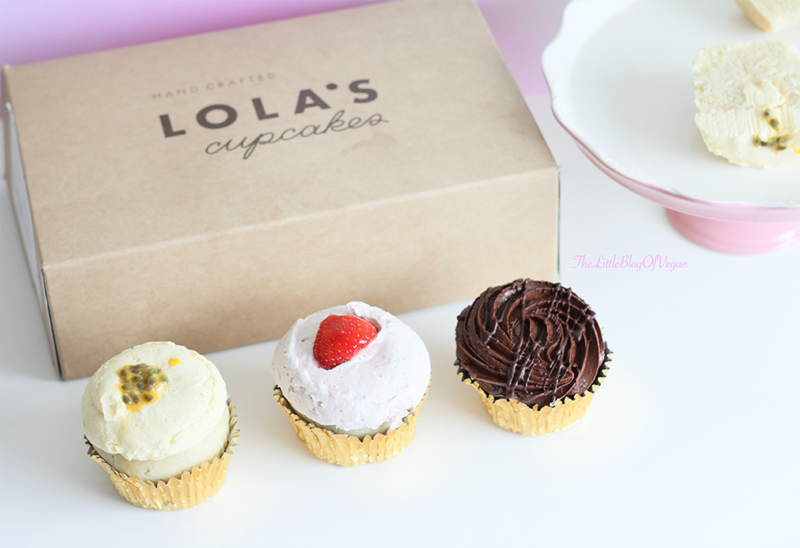 Thankyou so much Lola's Cupcakes for supporting my Blog! A great company to review and i will continue to enjoy their products!